In January of this year 2014, this film which apparently had been painstakingly restored was shown in a number of British Cinemas – and maybe also in many other countries – and it got rave reviews which sadly it didn’t on its first release. Quite often in life, success or the opposite is about good or bad timing and this was a case of a film being made and released at a time when audiences just didn’t take to it. As is well known, this was the only film that Charles Laughton directed and because it proved unsuccessful, he never did another. What a shame that is because he did a first class job here. 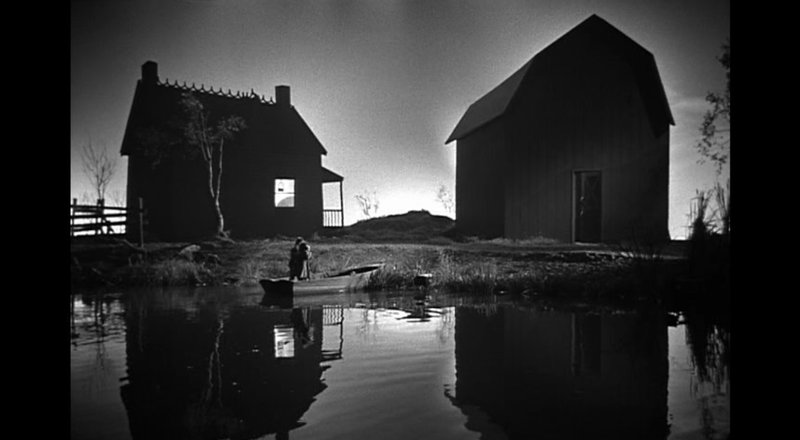 If there’s anything stranger than Night of the Hunter, a curious, melodramatic morality tale blatantly setting forces of good and evil in stark opposition to each other, it’s the way this 1955 film, directed by British actor Charles Laughtonand starring Robert Mitchum in one of his most memorable roles, has grown in stature in the decades since its release. Originally shunned by audiences and scorned by most critics, it’s now regarded as a masterpiece of American cinema – which seems all the more remarkable for being the only film Laughton ever directed. In the US and Britain it gets re-issued every few years and somehow looks better than ever. It’s an odd postscript to the life of a distinctly odd movie – a slab of Southern Gothic set in the Depression era. While in jail, Powell meets a man condemned to die who discloses he has left $10,000 hidden somewhere in his house, located on the banks of a small-town river. On his release, Powell tracks down the man’s family, charms his widow Willa (Shelley Winters) into marrying him and tries to befriend his young son and daughter, who are suspicious of him. When their mother disappears, the children hide from him in a basement. He finds them but fails to catch them. They take flight, hopping on a small boat that takes them up river. The preacher grimly and single-mindedly follows them: he knows they know where the money is. 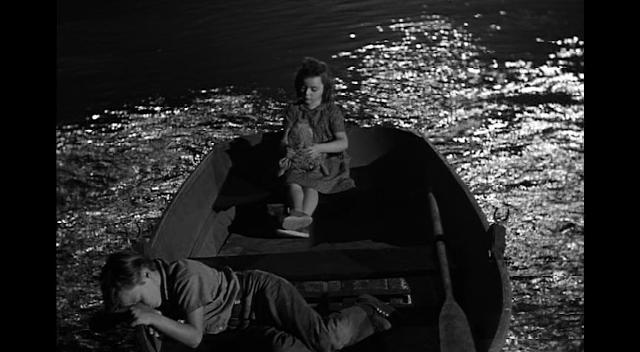 This chase, made more suspenseful by the children’s terror, takes up half the story. Still, this plot outline does little to convey the uniqueness of Night of the Hunter. Laughton and his director of photography Stanley Cortez (who worked on Orson Welles’s The Magnificent Ambersons) opted for an expressionistic look – all oblique angles, long shadows, shot in black-and-white. 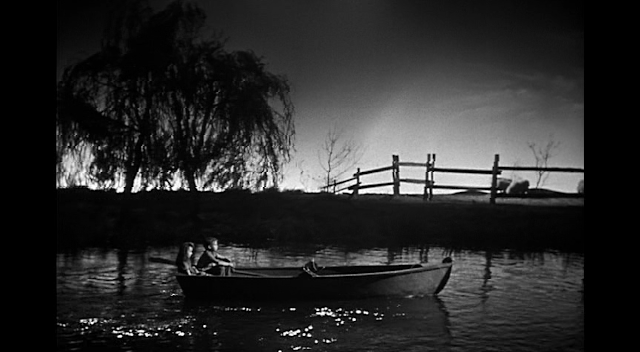 The photographing of Night of the Hunter heightens its sense of dread. Charles Laughton showed here that he had an original eye, and a taste for material that stretched the conventions of the movies. It is risky to combine horror and humour, and foolhardy to approach them through expressionism. For his first film, Charles Laughton made a film like no other before or since, and with such confidence it seemed to draw on a lifetime of work. 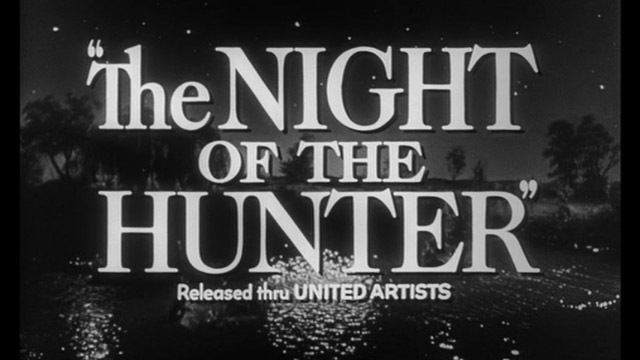 Critics were baffled by it, the public rejected it, and the studio had a much more expensive Robert Mitchum picture (“Not as a Stranger”) it wanted to promote instead. Charles Laughton with Lilian Gish – on the set – and with Robert Mitchum.